When Hyrule Warriors was announced many Zelda fans were caught off guard. You see, while Koei Tecmo has always had a great relationship with Nintendo, the transition from a series full of exploration and puzzle solving to a series where every puzzle is solved by mowing down hundreds of enemies seemed like quite a stretch. 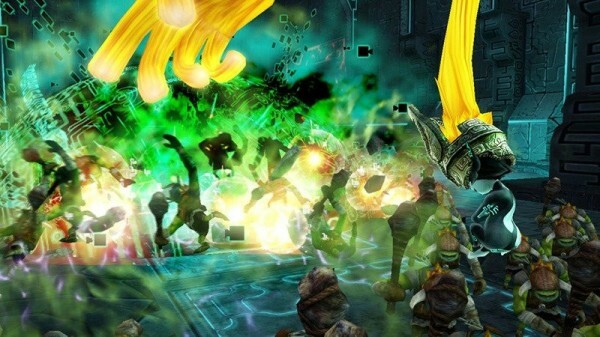 As more and more information was revealed however, fans grew excited about Hyrule Warriors’ potential. The question is, does it live up to expectations? Everything seems calm as Impa and Princess Zelda oversee fresh recruits being trained by the Hyrulean soldiers. Although very few seem like they are capable, one blonde soldier happens to catch Princess Zelda’s eye. Just as she notices something special, word comes that a large force of enemies is approaching the castle and because of this force, Impa and Princess Zelda rush out to the battlefield where they are soon joined by that blonde soldier, who happens to be Link. Although Impa and Link are able to fend off these attackers on the battlefield, the castle is infiltrated and occupied by the enemy forces while the Princess is nowhere to be found. With little to go on and an army overpowering them, Link and Impa begin searching for the princess only to learn that a dark sorceress named Cia is behind the assault. 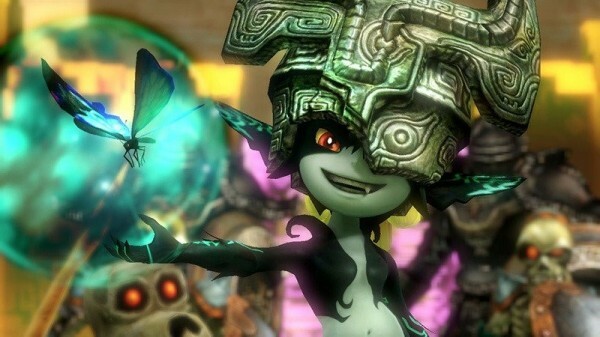 With Cia’s powers, time and space are split asunder as the worlds of Ocarina of Time, Twilight Princess, and Skyward Sword are blended together in a story that may not be as memorable as your average Zelda game, but is certainly quite satisfying. 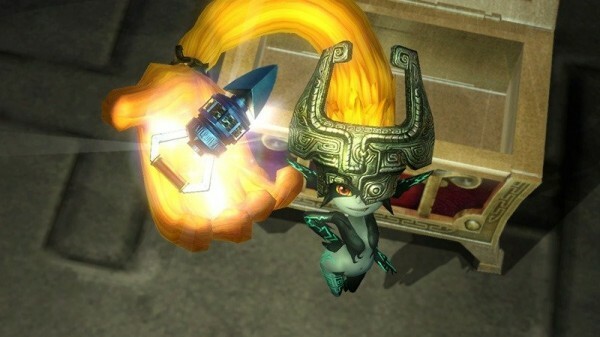 Containing a few little twists and a solid enough story that is far different from the standard Warriors offering, fans of the Zelda series will enjoy seeing some of their favorite characters in the spotlight and interacting with one another, even if it is limited to the scope of the battlefield and a few cutscenes. 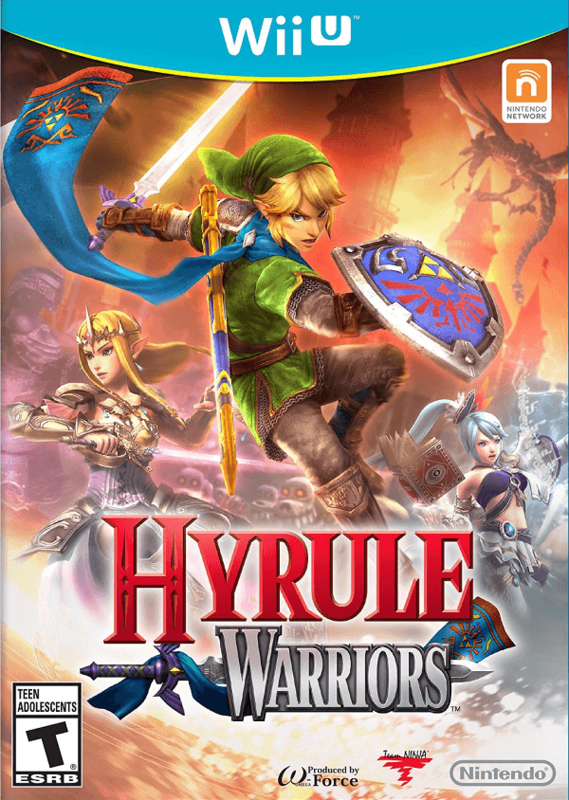 Hyrule Warriors plays very similar to a standard Warriors game, where players will usually take to the field controlling one of thirteen playable characters and battle alongside their allied army as they face off against hundreds of soldiers from the opposing army. The standard fighting style remains the same, but it isn’t as refined as recent entries in the Dynasty Warriors series. Despite the lack of refinement, each character that characters can play as has a very unique style. When I say unique I really mean it, unlike other Warriors titles where some styles are extremely close to one another, every character has a special over-the-top fighting style that changes depending on which weapons you bring onto the field. 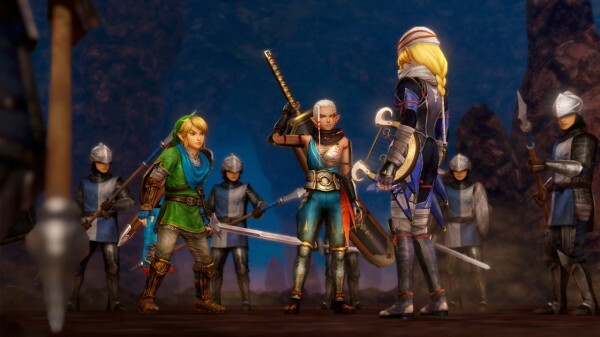 You see, although only one primary weapon can be used at the same time, Link can battle using either his sword and shield combo or the fire rod, each offering a unique move set, special attack (Musou), and magic finisher (Ultimate Musou). The exciting fighting styles bring extra flair into Hyrule Warriors’ impressive combat system. While standard enemies are easily dispatched, enemy officers can be durable, requiring the player to make use of the game’s dash command (replacing the jump button) to avoid attacks and strike them when they are weak, possibly triggering a finishing blow. Sure it is entirely possible to simply mash the standard attack button to defeat these opponents but it takes a lot of the fun away and can leave you vulnerable to counterattacks. Outside of fighting with the standard weaponry, various tools such as the bow and arrow and bombs can be used to defeat opponents as well as overcome various obstacles that are blocking your path. Defeating opponents can even drop temporary item boosts that increase each tool’s effectiveness by adding additional affects or more damage. It is also interesting to note that boss enemies from past Legend of Zelda titles will appear on the field from time to time and these large opponents are truly spectacular. Unlike standard enemies and officers, boss opponents must be dispatched by first attacking their weak point, such as throwing bombs into King Dodongo’s mouth, to temporarily stun them and leave them open for attack and even a unique finisher that changes for every character and every character’s chosen weapon. Taking down these large bosses is usually required to complete a mission but also serve as great sources of experience to raise a warrior’s level, boosting their health and attack damage in the process. 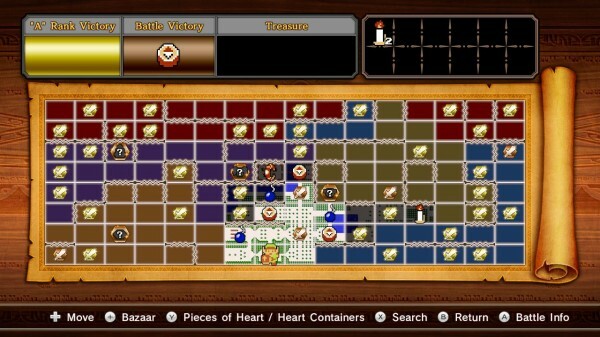 It is worth noting that players can also obtain heart containers in missions, some of which can only be obtained by specific characters, which will provide additional health by adding an extra heart to that fighter’s meter. The aforementioned story all takes place over the course of Hyrule Warriors’ Legend Mode which takes place in linear stages where players will be limited to using only specific fighters for certain stages. These stages all have various tiny puzzles that can be solved as well as mission objectives that change over time. There is also the basic free mode where players can take unlocked fighters and use them at will and a challenge mode to test your skills. Outside of the Legend Mode, the bulk of your time will likely be spent playing “Adventure Mode” which is a mode inspired by the original NES Legend of Zelda where players can unlock various squares on the map by completing mission objectives with certain grade levels. Beating certain map spaces will also provide the player with item cards such as a Compass or Candle that can be used to uncover hidden objects. The reason I say that the bulk of your time will be spent here is because not only do these Adventure mode stages contain the most variety, including stages where you will need to think and plan your attack properly or face failure, but they also can special characters that cannot be unlocked in the game’s story mode as well as powerful weapons for the cast. It is worth noting that although the game has a “Smithy” to forge equipment, this option has been stunted severely as players cannot add slots to weaponry nor can they increase a weapon’s level in any way outside of hoping for a better drop. Players can also use various materials dropped from enemies to create “Badges” that unlock additional combo strings for a character as well as provide various defense and attack boosts that will be necessary to face off against some of the more difficult fights. Many people have been waiting to see what a full-fledged Legend of Zelda game would look like on the Wii U and although Hyrule Warriors isn’t exactly that, the art style and level of detail is a sign of good things to come. The numerous returning characters have all been lovingly revamped for this release and they are quite impressive looking while the new characters fit in surprisingly well despite having KT standards. The battlefields have a decent amount of variety, but unfortunately there just isn’t enough variety to keep stages fresh after you’ve played them more than twice. With the amount of time players will be spending fighting through various stages, these levels grow to be repetitive very quickly. It is also worth noting that Hyrule Warriors has various problems with the frame rate dropping on stages with any kind of background activity and it really becomes an issue when playing with a co-op partner, as the title clearly has issues handling the amount of action occurring at times. As for the game’s soundtrack, it is worth noting that there are no voiced characters in this release to go along with the standard Legend of Zelda style, but the game does feature a narrator. This narrator seems out of place compared to the rest of the game which is full of the standard grunts and simple phrases. The background music contains a number of Legend of Zelda tracks that have been remixed into rock songs, offering a unique and enjoyable take on some iconic themes. Hyrule Warriors’ combination of gameplay from the Warriors series and story/character from The Legend of Zelda franchise has created a spectacular title that surpasses expectations. With a decent amount of content and variety, fans of the Warriors series will have plenty of hack and slash action to look forward to although they may still find the limited combat system and slowdown disappointing. As for Zelda fans, the amount of references to the series and solid enough storyline bringing some of our favorite characters together, there is plenty to enjoy here, though the repetitive nature of the combat might be a bit a far cry from what they are used to. Those that can look past these issues will find an enjoyable experience unlike anything else in the Zelda franchise and a new twist for Warriors fans to try out.